Giza, Egypt has the Great Sphinx. New York City has the Statue of Liberty. 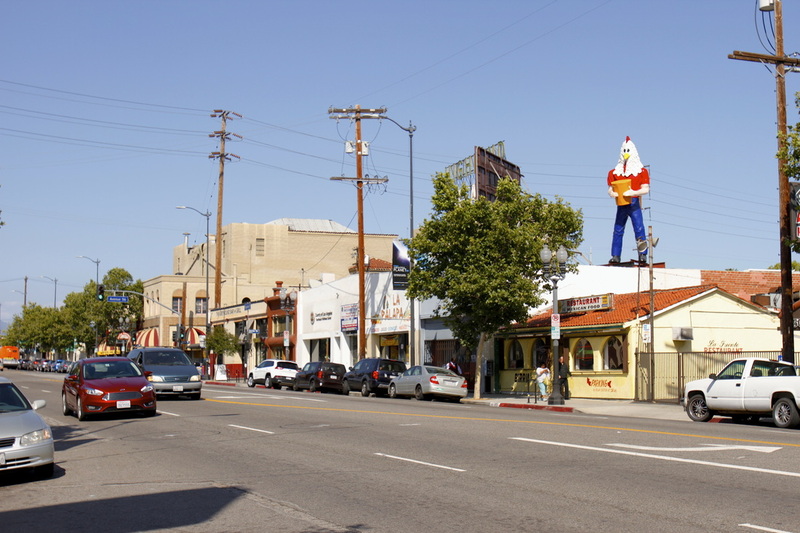 Los Angeles, California has….Chicken Boy? Drew and I took a little trip to 5558 N. Figueroa Street in search of the dubbed “Statue of Liberty of Los Angeles”. The 22-Foot tall man’s body with a chicken’s head was easy to spot. “There he is!” declared Drew. The “he” was stated boldly. 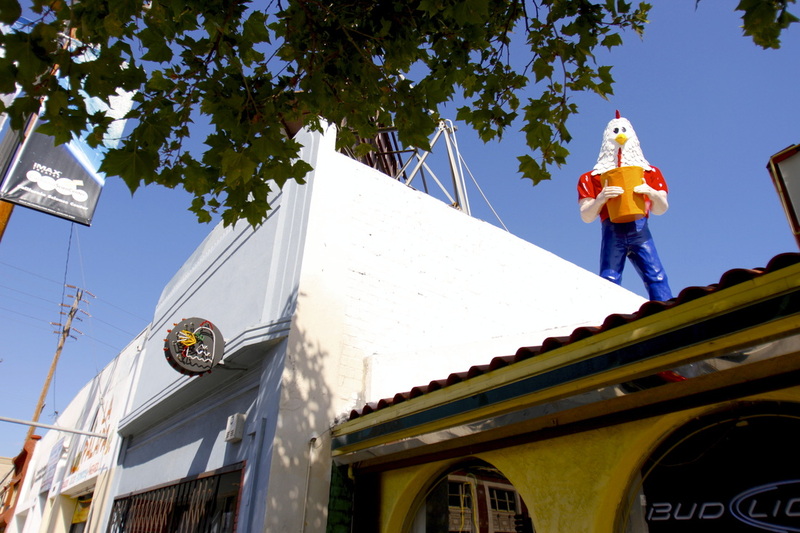 Chicken Boy, after all has quite a history and honors including the Governor’s Historic Preservation Award from 2010. It all began in the 1960’s. 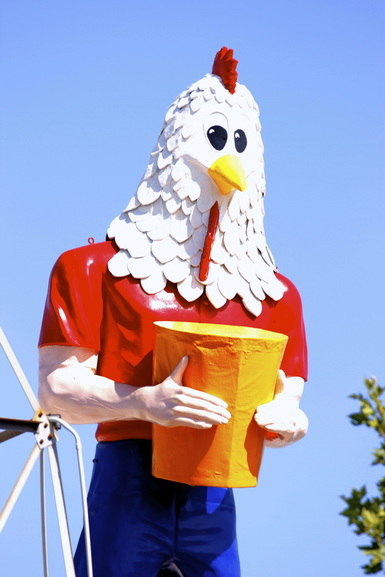 Ever seen the famous roadside Paul Bunyan and Muffler Man statues? A chicken restaurant in downtown had their own version made with a chicken head replacing the man’s head. Chicken Boy held his post until 1984 then went into storage. He was brought back into the light and relocated to Historic Route 66 in 2007 by the forces of Amy Inouye and a dedicated community. We took a walk around the block and across the street, and sure enough, Chicken Boy’s gaze seemed to always follow our direction. It made me think that Figueroa street has it’s very own guardian.